Lamborghini Huracan LP 640-4 Performante 2dr LDF 2019 Review | What Car? Comes with forged 20in alloy wheels, composite trim, climate control and Alcantara bucket seats, but sat-nav, rear parking sensors, a rear-view camera, the front lifting system (for getting over speed bumps) and adaptive dampers are all must-have options. 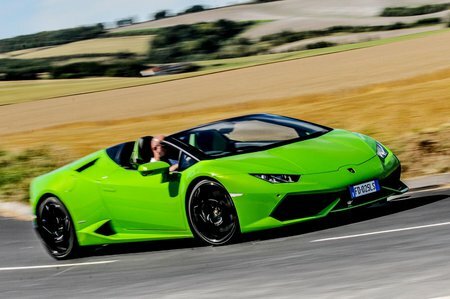 The Performante variant has been tuned to offer an output of 631bhp and 443lb ft of torque. What does that mean? Well, 0-62mph in 2.9sec and 124mph in 8.9sec. Yep, that’s epically fast, but more impressive is how epic this car sounds with its sports exhaust when the roof is down.